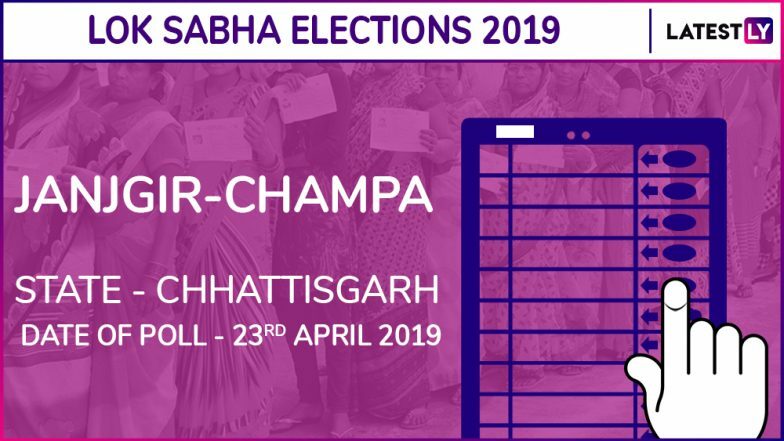 Raipur, March 23: The election for Janjgir-Champa Lok Sabha seat in the state of Chhattisgarh will be held in the third phase of general election on April 23. The counting of votes will take place on May 23 and Janjgir-Champa Lok Sabha election result will be declared on the same day. The main fight is between the ruling Bharatiya Janata Party and the Congress. Kamla Devi Patle of the BJP is the incumbent MP from Janjgir-Champa Lok Sabha seat. Lok Sabha Elections 2019 Schedule: How Staggered Polling Could Help BJP. After facing a defeat in the 2018 assembly elections, the BJP decided not to field any sitting lawmaker for Lok Sabha polls in Chhattisgarh. Hence, the BJP declared Gujaram Ajgale as its candidate from Janjgir-Champa Lok Sabha seat. Ajgale will face a tough electoral challenge from Ravi Bhardwaj of the Congress. The process of filing nomination for Janjgir-Champa Lok Sabha election began from March 28. The last day for nominations was April 4. The last date for the withdrawal of the nominations was April 8. Check Full Schedule of Lok Sabha Elections 2019. In 2014 Lok Sabha elections, the BJP registered a thumping victory winning 10 out of 11 seats in Chhattisgarh, whereas the Congress was reduced to one seat. However, in the 2018 assembly election, Congress defeated the BJP winning 68 out of 90 seats. Lok Sabha elections will begin on April 11 and will be held over seven phases across the country followed by counting of votes on May 23. Prime Minister Narendra Modi led the BJP is contesting to retain power for the second consecutive time. On the other hand, the opposition led by the Congress is leaving no stone unturned to make a comeback.